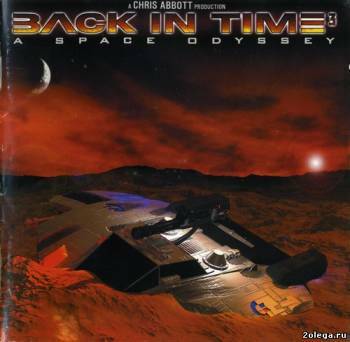 Back in Time was released in 1998 as a tribute to the composers who produced game music for the Commodore 64 Home Computer during its heyday. 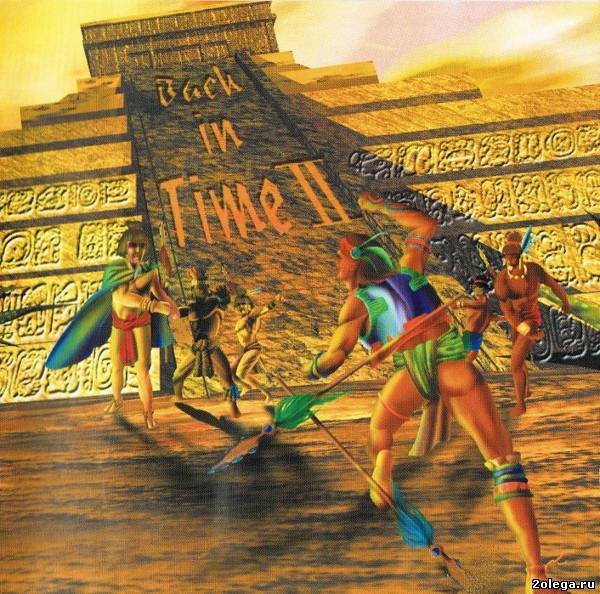 Oddly, the supposedly disposable music for these games stuck in the heads of the game players of the time, and surfaced again in the mid 90s when musicians started to rerecord the tracks, adding themselves into it at the same time. Back in Time 1 broke a lot of ground, so the sequel aimed to raise the bar. The second album used some extraordinary talent such as Peter Connelly, Jogeir Liljedahl, Tonka and Danko to provide a much more varied soundscape than the first. 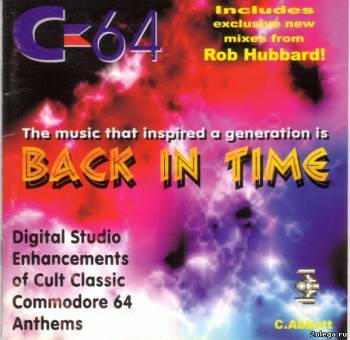 Highlights include the beautiful orchestral version of "Forbidden Forest", the ultimate feel-good remix "Wizball 2000" and the spine-tingling "Galway is God" Rambo/Green Beret medley, as well as featuring a remastering of the first ever C64 Remix: Rob Hubbard's own "Thalamusik" from Zzap!64 issue 26. Round that off with an extended club mix of Comic Bakery and Fred Gray's own funky interpretation of his own Batman theme, and you've got a CD which still stands the test of time today. A five-star journey in space and time inspired by the music of the C64. Unique two part booklet gives information about the tracks, and presents a story outline synchronised with the CD to enhance listening pleasure. 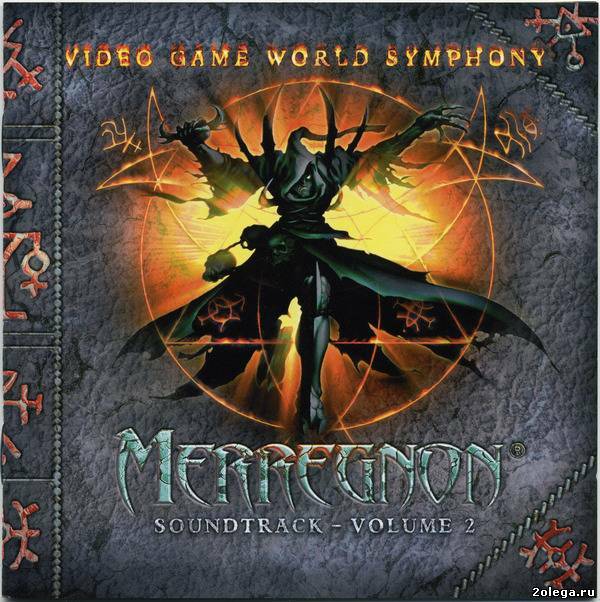 Highlights include the epic symphonic "Trap", featuring performances from both Ben Daglish and Mark "madfiddler" Knight, the hell-for-leather technological sound of "One Man and his Droid", and three extraordinary versions of "Zoids". The package is topped off by the amazing artwork of Mat Recardo, Arvid Weber and Steve Barrett. 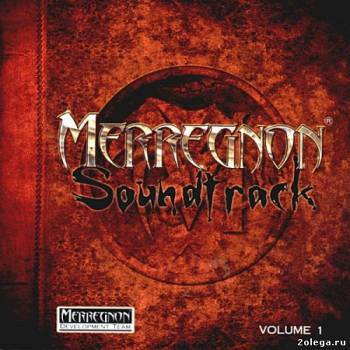 Merregnon - несуществующая, гипотетическая игра, у которой есть свой сюжет и саундтрек. Музыка была написана известными легендарными композиторами с демосцены и игровой индустрии. 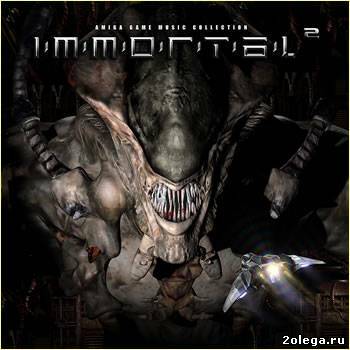 Вот некоторые из них: Fabian del Priore (Rapture), Jonne Valtonen (Purple Motion), Jogeir Liljedahl (Noiseless), Gustaf Grefberg (Lizardking), Chris Huesbeck, Yuzo Koshiro. Вся музыка была аранжирована для симфонического оркестра, им же и сыграна. Merregnon is a soundtrack CD project for which renowned composers from the game industry contribute brand-new titles. By writing orchestral music the artists tell a story taking place in a newly created fantasy-universe. Stars like Chris Huelsbeck (Star Wars: Rogue Leader), Olof Gustafsson (Battlefield 1942), Markus Holler (Stalker - Oblivion Lost), Yuzo Koshiro (Shenmue) and Fabian Del Priore (Cultures 2) already speak for themselves. In 1982, he creates Studio Hélios, where he begins to create soundtracks and sound designs for images. In the past twenty five years he has written music for over a hundred documentaries, short films, cartoons, video games, as well as 30 CDs. Present: Since 2002, he has mostly composed music for albums and films, especially for 3D Entertainment, which produces underwater films in 3D for IMAX theatres. Directed by Jean Jacques Mantello and presented by Jean Michel Cousteau, these films have been seen by thousands of spectators worldwide. The film « Undersea Voyage », distributed by « Wild Bunch», will be in digital 3D theatres in September 2009. The music was recorded in Bulgaria with the « National Symphonic Orchestra », directed by Patrick Souillot, and then reworked in his own studio. He also creates the sound design and the sound effects, careful to respect the coherence of the soundtrack. Future: An album is a year of work (« …a life plus a year of work… ») and a lot of investment in an uncertain future. But passion has its reasons… Christophe Jacquelin works like a filmmaker: he composes, imagines the musical space, and then searches for the singer, the leading actress of the sound scenario. The future can thus sometimes be far away. Projects are in the works: notably an animated film as well as a cartoon series, directed by Fabrice Luang Vija of “Fargo”. A new album is in the composition phase. Christophe is also restructuring the distribution of the « Papa te Raconte » collection (fairy tales told by Pierre Alain de Garrigues, one of the most famous voices in France) and several new tales will be coming out this year. 2011 - "Air Racers" soundtracks2010 - "Oxygène"
2009 - "Symphonie des signes" SIF Bulgarian Orchestra. 2000 - "Papa te raconte"
1997 - "Shades of light"
"OCEAN WONDERLAND - The Original Motion Picture Soundtrack" is the powerful first original score written by noted European composer Christophe Jacquelin specifically for the network of IMAX screens. With over 5 million viewers worldwide, audiences everywhere have embraced the film that was first released in the US in 2003 prior to its international exhibition. The OCEAN WONDERLAND album is the result of Jacquelin's decade-long friendship with the film's director, Jean-Jacques Mantello, and their common passion for the underwater world and conservation. Thanks to their very close collaboration Jacquelin was able to compose the original motion picture soundtrack based on images, an unusual achievement in the film industry. Editing on the film began only once the score was completed, resulting in a perfect symbiosis of sound and image. Strings and woods were performed by the Bulgarian Symphony Orchestra led by Patrick Souillot. 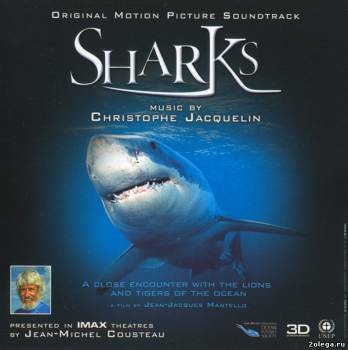 Jacquelin has since composed a second original score for an IMAX theatre film, "SHARKS: A Close Encounter with the Lions and Tigers of the Ocean" (2005), seen by over 2 million viewers to date. 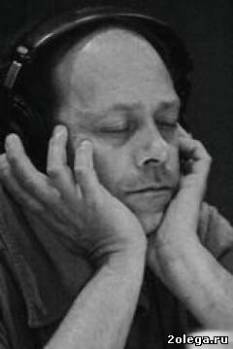 In addition to his work as a composer, Jacquelin is also a renowned sound designer and sound arranger. He has extensive experience in composing, arranging and mixing original music for documentaries, animated and corporate films, commercials, games and interactive media. "SHARKS" - The Original Motion Picture Soundtrack," described as "stirring" by Box Office Magazine, is the second powerful original score written by noted European composer Christophe Jacquelin specifically for the network of IMAX screens. 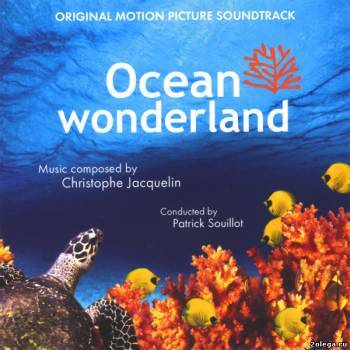 Jacquelin's first composition for an IMAX theatre film was for the popular "OCEAN WONDERLAND" (2003), seen by over 5 million viewers to date. The SHARKS album is the culmination of Jacquelin's talents and passion for the underwater world and conservation, an interest he shares with the filmâs director, Jean-Jacques Mantello. Thanks to their very close collaboration, Jacquelin was able to compose the original motion picture soundtrack based on images, an unusual achievement in the film industry. Editing on the film began only once the score was completed, resulting in a perfect symbiosis of sound and image. The SHARKS soundtrack includes the filmâs haunting theme song, "Still Be Blue" (track nÂ°15), sung by Dajzia Satour with lyrics by Claudia Phillips. Strings and woods were performed by the Bulgarian Symphony Orchestra led by Patrice Souillot. In addition to his work as a composer, Jacquelin is also a renowned sound designer and sound arranger. He has extensive experience in composing, arranging and mixing original music for documentaries, animated and corporate films, commercials, games, and interactive media. 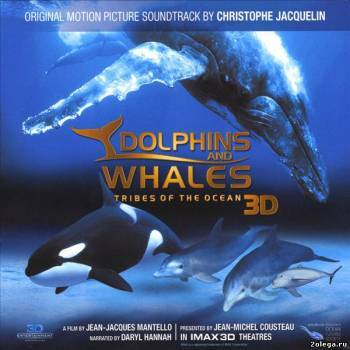 "Dolphins and Whales 3D" is an entertaining underwater film that takes you from the dazzling coral reefs of the Bahamas to the warm depths of the waters of the exotic Kingdom of Tonga for a close encounter with the surviving tribes of the ocean. Stunning images of dolphins, belugas, orcas, humpback whales and their calves, captured for the very first time in 3D, allow you to discover their lives and habitats as never-before seen. An unforgettable and entertaining voyage with these graceful, majestic yet endangered sea creatures, narrated by Daryl Hannah. An extensive three years of production were required to capture the images of the film. Principal photography began in June 2004 in Polynesia, and consisted of no fewer than 12 international expeditions in nine different countries and 600 hours underwater at some of the remotest locations on Earth, including off the Pacific Ocean atolls of Moorea and Rurutu, Vava'u Island in the Kingdom of Tonga, Pico Island in the Azores archipelago, the Valdez Peninsula in Argentina, Australia's Sapphire Coast and the Bay of Islands in New Zealand. 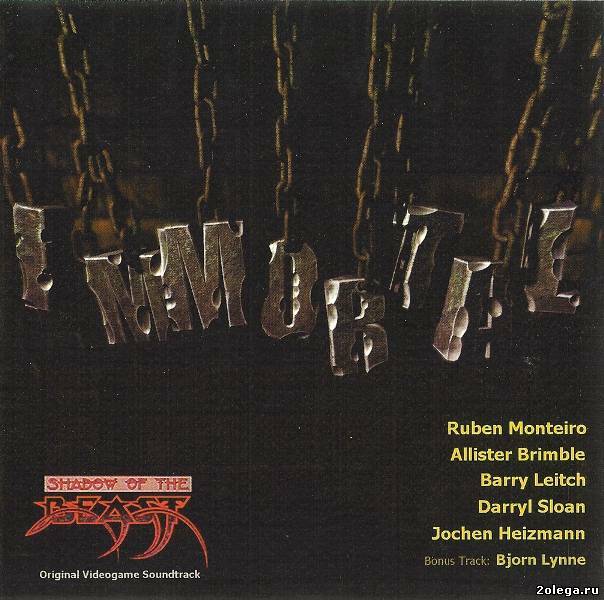 The first Amiga remix CD, featuring the seminal Shadow of the Beast Music. "Immortal 2" is the second powerful part of the "Immortal" Amiga remix project. Motoi Sakuraba (桜庭 統 Sakuraba Motoi, born August 5, 1965) is a Japanese composer of video games, anime series, and television dramas as well as independent progressive rock albums. 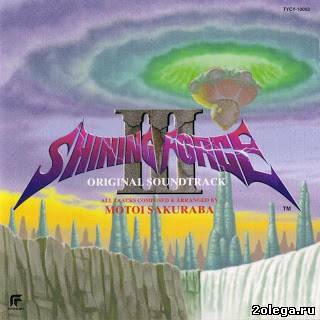 Motoi Sakuraba takes the baroque and melodic Japanese progressive rock of the 1980s and expands it with his own trademark complex rhythms, emotional flutes, use of male choir and heavy reverb. The lighter side of his style is a crossover between symphonic progressive rock, cinematic orchestra and new age. Sakuraba is also known for introducing many jazz-like improvisations to his music style. In recent years he has made a serious effort toward expanding his style even further. Label: Silva Screen Records Ltd.
A comprehensive John Carpenter collection featuring music from Halloween, Halloween II, The Fog, Escape From NY, Starman, Christine, Prince Of Darkness, Big Trouble In Little China, Village Of The Damned, They Live, Dark Star, Assault On Precinct 13. 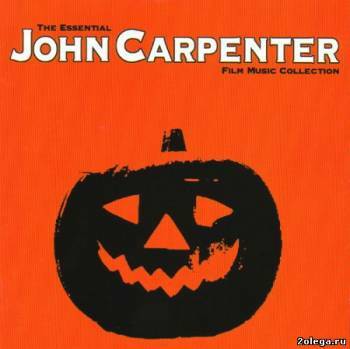 John Carpenter is known for his successful career as a horror and suspense film director, but much of the dramatic music heard in the films was also penned by Carpenter himself. 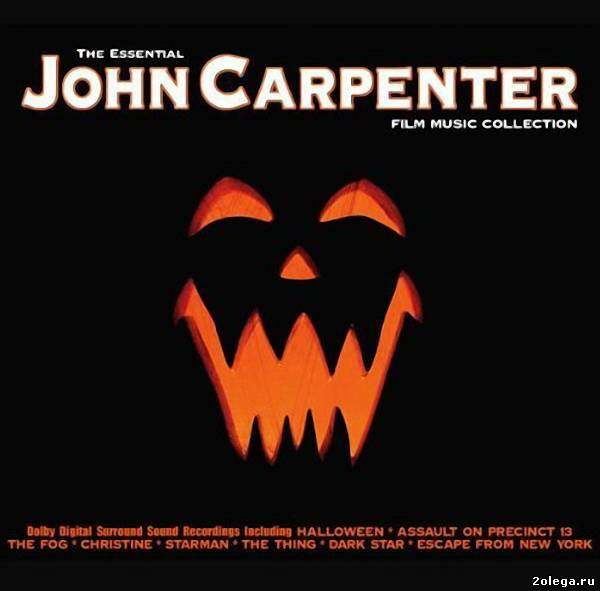 This album features recordings of his own compositions - including the spine-chilling minimalist themes from the Halloween and Assault on Precinct 13, along with additional themes by other composers that were featured in Carpenter’s films. Неплохие ремиксы на музыку из старых компьютерных игр. Eftos was founded in 1984 by E. F. (b. 1970) who is the only member. His musical history originates from the first trackers on the C64 over the Amiga Protracker, the DOS Composer 669 up to the Windows based Modplug Tracker. In 1999 Eftos started with his debut CD 'Local Sense Technology' which is still under construction. 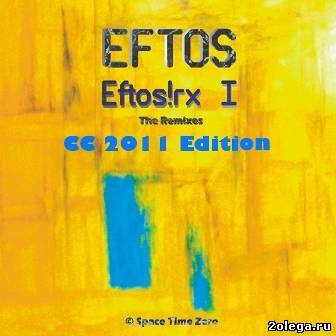 In 2006 Eftos began his second CD 'Art Prime' which is in work, too. As Eftos is a studio act only and the lyrics are almost entirely about nihilism, Eftos remains up to now deeply underground inside the Goth subculture. The music can be found only in the WWW. Eftos is inspired by C64 music, especially Rob Hubbard's Sanxion, because of its lead and the opening. On various websites he states that his music can be classified as 'Leadcore', a genre yet to be defined precisely, however, lead based music was around at all times. A lead is, or leads are the base of his songs. Without repetition, plain, bitonal, polytonal or atonal they follow climax-oriented rules. Around 2005 a radical twist occurred: Eftos changed from instrumentals to vocals and misanthropy. Along with it the music switched to the dark side of industrial.